It's summertime and that means its time to get outdoors and start grilling up deliciousness! 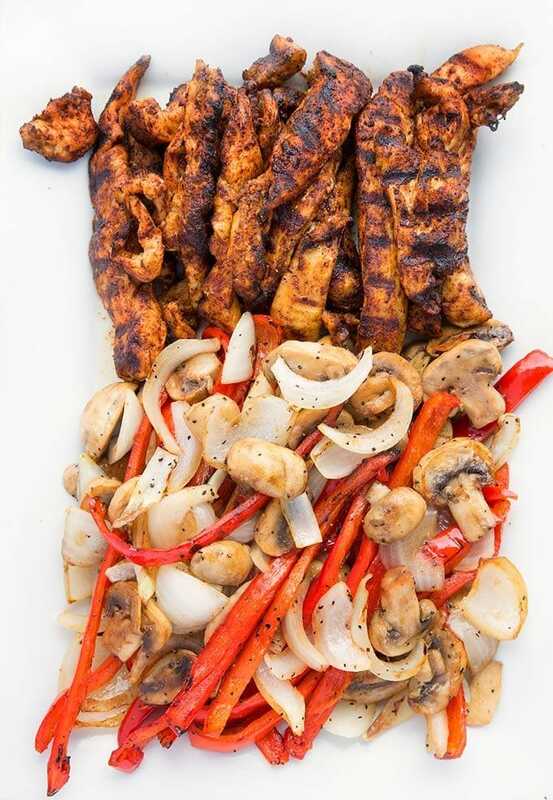 My grilled chicken fajitas recipe, complete with grilled vegetables is a great way to enjoy dining outdoors and save on clean up. 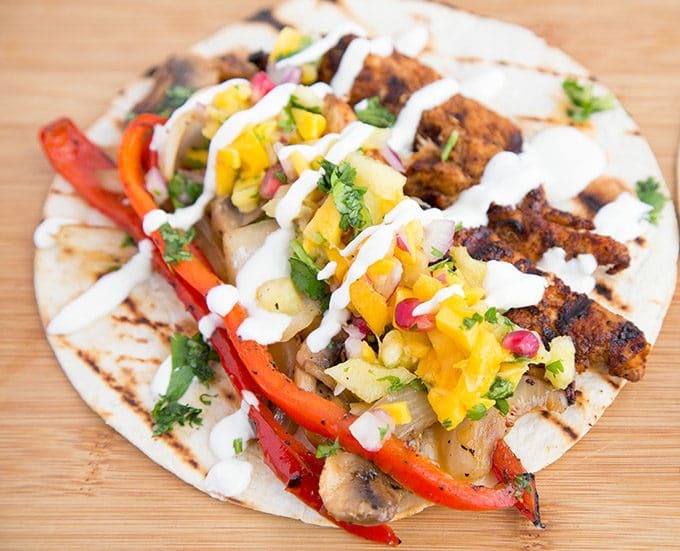 Kick your summertime into high gear with my Grilled Chicken Fajitas! Summertime and the living is easy….sigh. I love the summer weather, which is why I moved to Florida 5 years ago. Blue skies, sunshine and every day is a good day to grill! Of course, grilling has become a year-round activity no matter where you live. But it somehow feels more special during the summer months. With all the traveling I’ve been doing over the last few years my time grilling has been cut back. So when I do go outside to cook over an open flame, I make sure what I’m cooking is extra special. 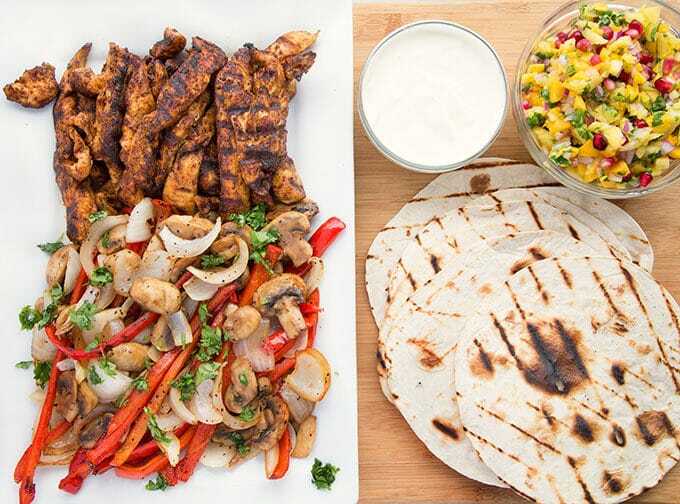 So today I’m sharing an easy to prepare Grilled Chicken Fajitas recipe that will kick your taste buds into overdrive! As usual, let’s start by gathering our ingredients together. In chef speak we call that the Mise en Place (everything in its place). 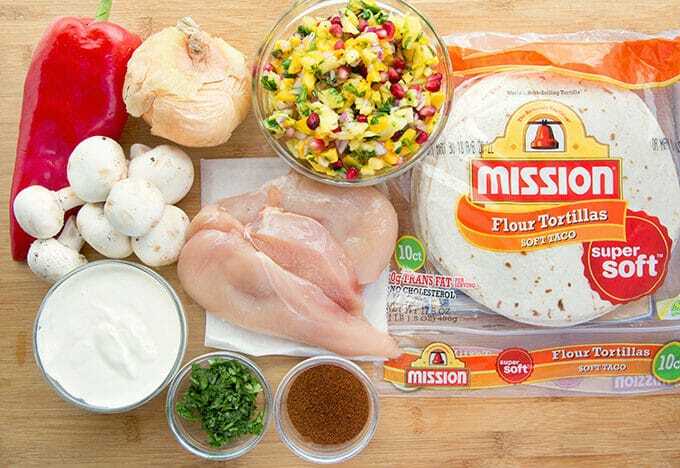 You can see I’ve got my favorite Mission® Super Soft Flour Tortillas for my fajitas. 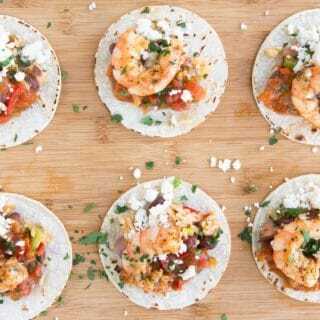 I love those supersoft tortillas and grilling them makes them even more fun to eat. Click on this link to find a grocer near you that sells Mission products. They have a handy store locator on their website for all your tortilla needs. The first thing you need to do is prepare the crema. It’s super easy and can be made a day or two ahead of time. Once that is done move on to prepping your vegetables and chicken. You want to make sure that the chicken isn’t too thick before you cut it into strips. All the ingredients should be easy to eat. I like to let both the veggies and chicken sit for 15 minutes or so to give them time to absorb the seasonings. Now its time to move onto the grilling aspect of our recipe. I don’t have a specific grill pan for the veggies so I use foil doubled up and placed directly on the grill. It works really well and keeps the smaller pieces from getting caught in the grates and falling through. You want the grill to be nice and hot before you start. And make sure to close the grill during the process, opening only to turn the chicken and move the vegetables around. Keep in mind that the chicken should take about half the time to cook as the vegetables. 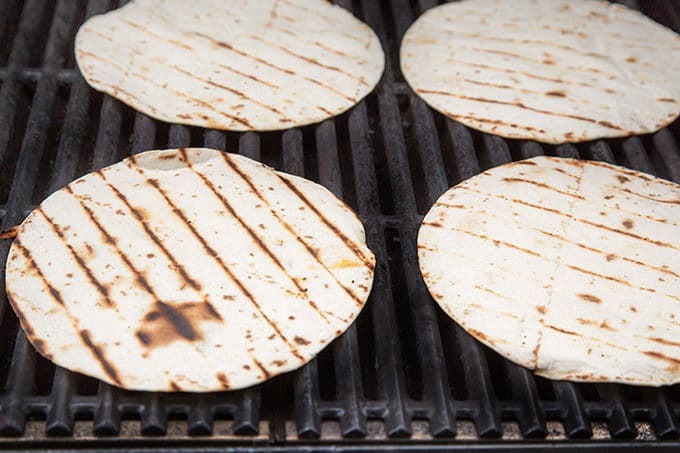 As soon as the chicken and vegetables are done, turn the heat down on the grill and place the Mission Super Soft Flour Tortillas on the grill. They don’t take long to cook so keep a watchful eye on them. Try not to turn them more than once. 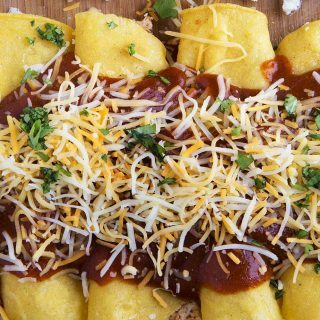 If this doesn’t get you drooling nothing will! Remember that people eat with their eyes first, so make sure your presentation is worthy of the deliciousness you just prepared. Have fun with your Fajita Bar. 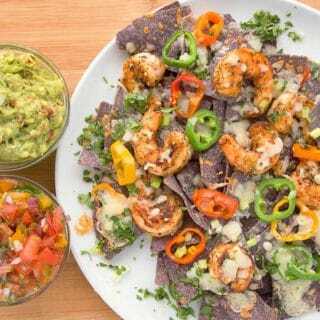 Add your favorite toppings and switch out any of the other ingredients to make this fiesta just how you like it. My wife loves mango so I like to use it in my salsa, but cantaloupe or peaches work really well too. Now its party time Mexican Style! Nothing makes me happier than seeing all the smiling faces as they build their own fajitas and then devour them. That’s what makes cooking fun for me, bonding over food when your friends and family are around should always be a special occasion and never take for granted. 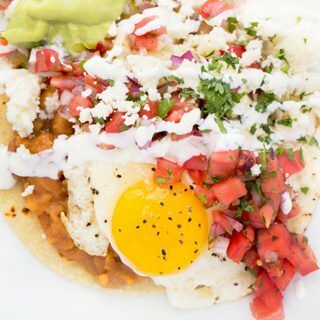 If you’d like to try more of my Mexican style recipes click on this link for my Huevos Rancheros recipe and my Blackened Chicken Taco Bar. That’s why it’s important to use quality ingredients in everything you make. Play music while you cook and be happy. I promise everything will taste better. Combine all the spices in a small bowl and mix them well. 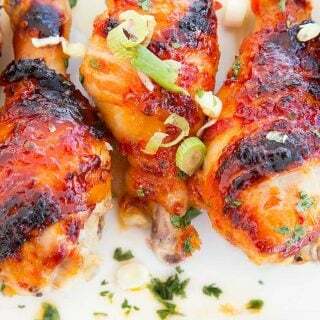 Coat chicken breasts lightly with olive oil then rub the spice mixture into the chicken. Allow chicken to sit for 5 minutes absorbing the spice. Slice peppers, onions and mushrooms. In a large mixing bowl, toss the vegetables with 2 tbsp olive oil, sea salt and black pepper to taste. 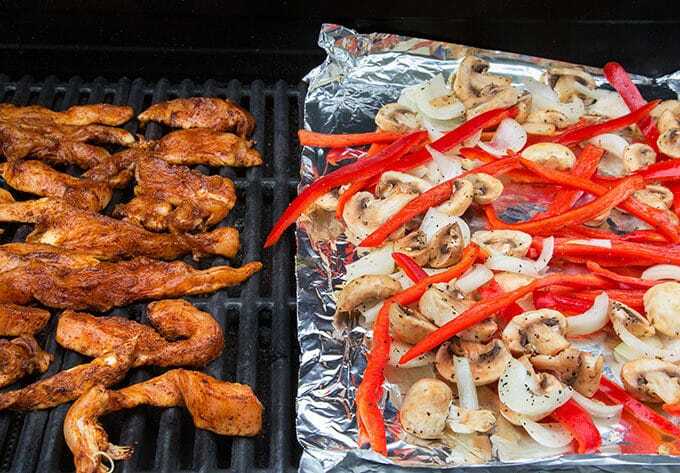 Cut a piece of foil large enough to be doubled up and place on a section of your grill. Place vegetables on foil lining part of the grill and cook until soft and just a little charred, stirring often. Add the chicken to the grill and cook until chicken has reached an internal temperature of at least 165 degrees. Remove meat and vegetables from the grill and reduce the grill heat. 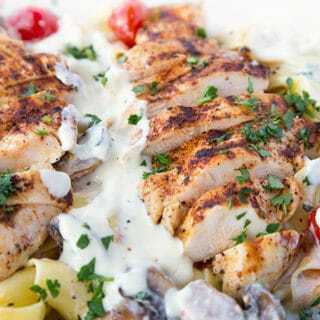 Allow grilled chicken to cool slightly then slice into strips. Grill flour tortillas briefly on each side to cook and add grill marks. Tortillas will get a little puffy as they cook. Mix sour cream, heavy cream, sea salt and lime juice together in a small bowl. Allow it to sit unrefrigerated for 2-3 hours. Cover and refrigerate until needed. Mix together pineapple, red onion, cilantro and lime juice. Season to taste with sea salt. 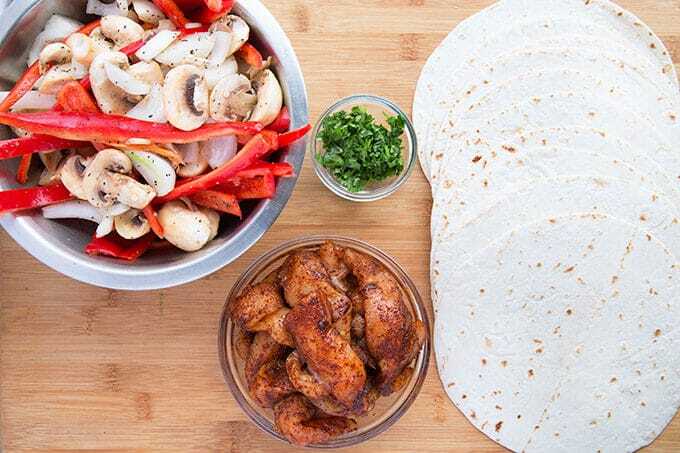 This is hands down one of the best recipes for chicken fajita I have come across and I couldn’t agree more that presentation means a lot. I love me some good homemade pineapple and mango salsa. this is on my list next. Making a fajita bar is one of my favorite things to do over the summer. I usually do steak and shrimp was well as the chicken. I would love to try this out though. Looks amazing. These look amazing!!! I will definitely be making some of these this summer!! Thanks Nikki, Have a great summer! Omg this looks so amazing!! I am going to have to make this ASAP! Yum! 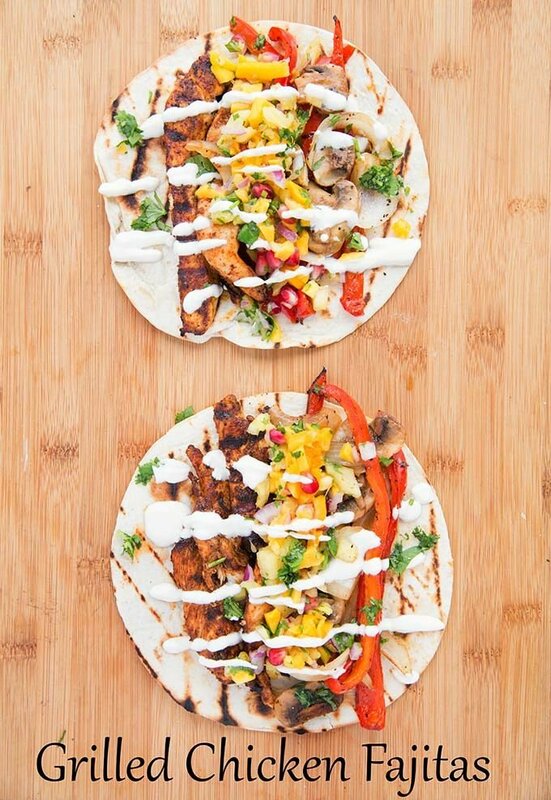 These chicken fajitas look great and would certainly be a crowd pleaser at a party! The creme sounds delicious! Totally going to try it. Also the salsa, I have never made my own salsa with pineapple before. This whole meal just sounds fresh and delicious! Pinning for later. 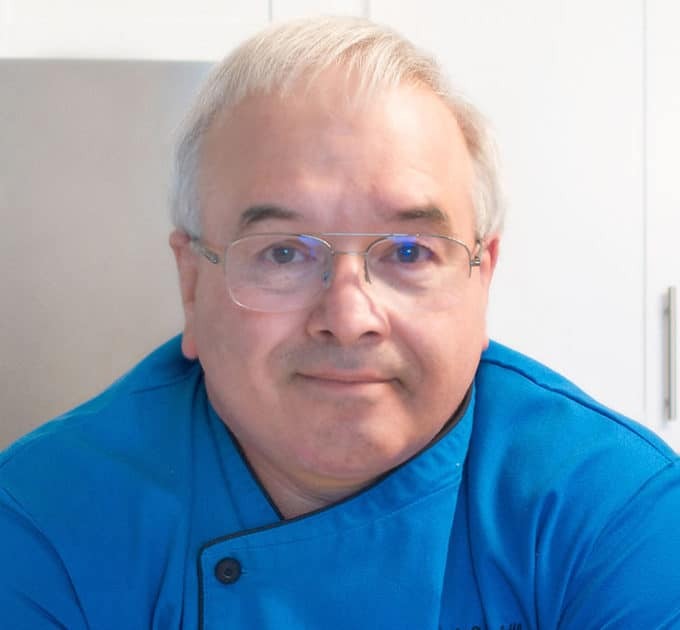 Fajitas sound amazing and I especially love your salsa recipe. These look amazing! I love Fajitas and grilled ones are even better! This is such a colorful dish, perfect for summer. You know I am going to try it. Thank you, I enjoyed making them and eating them even more! Great idea and the fajitas look outstanding. Thanks Larry, I had fun making them!